I’ve been thinking a lot about exactly what my goals will be for this coming year. The most important thing to me at this point is just that we get in a full season. Not necessarily every single OCTRA ride, but most. An injury-free season. Solving our boot issue is a another big one. We need to have a workable booting protocol before the first ride. Reliable transportation was a big issue last year. So that’s a goal for this year. Though that one is pretty nearly solved. I’d like King to be able to do at least three fifties. I’m aiming at Aprilfest on May 1 as our first this year. I’d like to do at least two CTRs. Most likely Summer Solstice and Flesherton. But also maybe Seoul’s Corners. I feel pretty good about our progress so far. King is showing obvious signs of increased fitness. He’s losing weight and looking visibly more toned. All the trails that I built last summer have been a huge help getting him fit. The entire loop of trails is 5.5 miles. We can’t do it all in winter… only about 4 miles of it is passable. But that’s a whole lot better than the half mile I had before. I have a truck and a trailer (just need to install the gooseneck hitch in the truck). And although the truck is older, I really like it a lot. It is low mileage, and was used to go to Florida every winter. So it has no rust and is in excellent mechanical condition. It drives like a new truck. The trailer is a 4-horse head to head with a tack room. So I will be able to store all my tack and supplies in it for the season. And I can sleep over the gooseneck once I get a mattress in there. 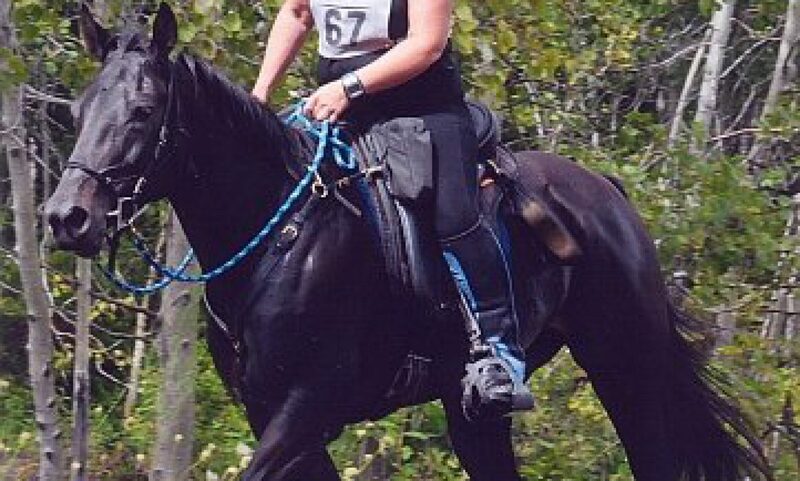 The saddle that I got him last year (and that we did the fifty in) seems to be working very well. I’ve made some modifications to the flocking that have improved the fit even more. And we have new boots on order. Glue Ons from EasyCare. As well as a pair of Gloves with the newer gaiters. So, with luck, that will fix his boot issues. King’s goals are far simpler than mine. He’d like mints. Or oranges. Or… well food. Of some kind. Right now please? Do you SEE how handsome and downright irresistable I am?